There’s a reason why people customize their belongings. From iPhone cases to mugs, photos of your favorite memories on common everyday items help bring back happy memories and brighten up your day. But aside from that, these images serve as a constant reminder of the love and happiness that you shared with your loved ones. Giving expensive items is good, but if you’re running short on budget, photo gifts are the best alternative. Let’s see some of your choices. As a little girl, one of my hobbies was collecting stamps. That's why I made it my goal to make friends from different parts of the globe. We call these friends "pen pals" back then because we used the post office to exchange correspondences. Everytime a new letter arrived, I was more excited about the post cards than the content itself -- mean! Kidding aside, don't you just miss the old days when people used the post office? Come to think of it, I haven't mailed a letter in ages. And I haven't seen a stamp in years! 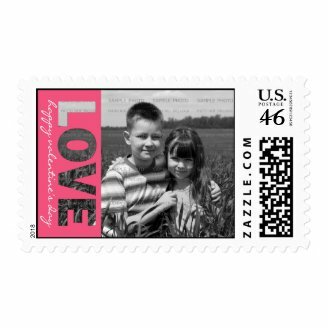 If you're like me who miss collecting stamps, you may want to consider having your own "photo stamps." Isn't it fun to see your pictures on stamps? They make the perfect gift idea, too! Are you looking for a great father's day gift idea? How about giving your dad a unique tie such as this one on the right? 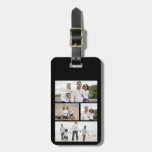 As you can see, you can customize it to include some memorable pictures of your family. And if you want something funny, throw in a hilarious picture of your dad and the tie will instantly turn into a gag gift for April Fools. Or you can create a costume made of collaged images of your family, which includes this personalized tie, of course. For sure, on Halloween, your outfit will be one of a kind. People are always having difficulty with lost baggage and mistaken luggage. On your family's next trip, you can spare the hassle by attaching a customized luggage tag with your cute picture as the main design. Look at these examples. The images are clear, and the tag is made from durable materials, so it stays attached to the luggage even during rough handling. Of course, let's not forget your pet. When I was young, I believed that pets have feelings. They do. So if you have a dog, make sure that he's pampered and well taken care of. One way of pampering him is to have his own unique dog bowl that bears its image. Look at this one below. Isn't it cute? Photo wall clocks are a great way to accessorize your bedroom walls. Married couples can have their most romantic picture on a clock, and it will serve as a great reminder of their love and passion for each other. So these clocks will be a great gift for newlyweds or couples celebrating their anniversary. But aside from couples, children and babies also make the perfect recipient of these photo wall clocks. Not only do they serve as a great accessory that can brighten up a room, but they're also extremely useful. I love collecting beautiful fridge magnets such as these sushi magnets. Staring at them stuck on my fridge's door gives me joy. Aren't they beautiful? 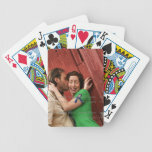 If you know someone who is into magnets like me, surprise him / her with a photo magnet. 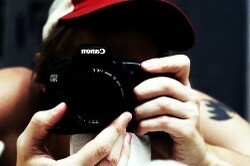 If someone gave me a photo magnet, I will not get tired looking at it for a long time. Look at the product below. These photo magnets can even make a great reminder or invitation for big events such as weddings, showers, and other types of parties. If you give these out to your guests, I'm sure that a lot will be coming. Tablets are the hottest gadgets sold on the market today. They're slim, portable, and lightweight. But when not taken care of properly, they'll have a short lifespan. Good news is, you can prolong the life of your iPad or Galaxy Tab using a folio case. 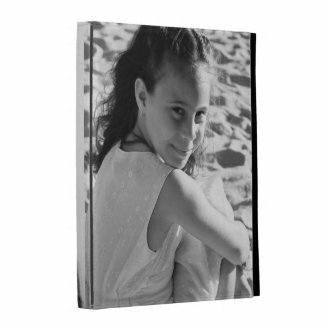 And if you don't want to go for a style or color that's generic, plain, or boring, you can have one folio case customized for you to bear your picture. Or you can give someone a folio case with their picture as the main design, and give it to them as a gift. They'll be pleasantly surprised for sure. My grandmother loves going to Las Vegas. So everytime I look at these cards, I would love to give her one on her birthday. But she passed away a couple of months ago, so I guess I'll just have to give one of these cards to my uncle. About 4 years ago, I had to say goodbye to a friend who would leave me for the United States. But before we parted ways, we had a great time doing what we loved best. One of these activities is taking silly pictures at the photo booth. As you know, the photo booth has several types of borders to choose from. And one of them is a wanted sign. We choose it, and the result is just cool! Do you want to do the same? 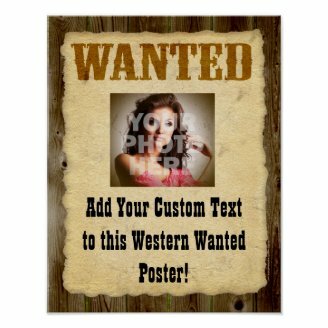 Check out this wanted poster. Isn't it amazing? Here's another one for your pet -- a t-shirt bearing your image on the back! Everytime you go to the park or stroll somewhere, people can't stop to look at the image. If you choose to put your picture on the doggie shirt, onlookers will think that the dog is proud to have you as his master. For this particular doggie shirt, you can choose from either white or pink. Which one of these colors suits your dog? Which One of These Would You Like to Have?